Do you have questions about overhead garage doors, openers, springs and the other parts? Do you want to find answers related to garage door safety? Here you'll find plenty of the things you are looking for. You will find answers to your questions and we promise you that all answers are perfect. If you have questions about the way your garage door works and what it needs in order to last long, trust our answers to your questions. Is it possible to consult for garage door problems? Yes. Garage door companies offer a free consultation especially when you just give them a call about the problem. According to San Jacinto experts, this is the best solution if you are unsure whether you will go for garage door repair or not. How can struggling doors be solved? 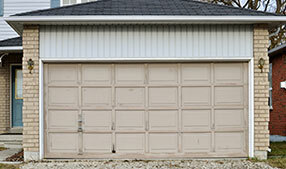 When the garage door gets stuck in the middle without fully closing or opening it, then it is called a struggling door. To solve it, you need to check the springs. They might need replacement so that the door can open and close smoothly. Why is my remote receiver blinking all the time? It means that either the garage door opener has not been programmed correctly or there is a technical fault with the apparatus. Immediately refer back to the owner’s manual and do a diagnosis based on the list of options that will be provided. If that fails then consider replacement the battery. Should I keep my old track when replacing my existing garage door? Our garage door experts recommend that you replace your track when replacing your garage door since each door brand is designed to work with a certain type of track. Moreover, when you replace your track, you make sure that your garage door system is safe and functional. How do I prepare garage doors for painting? The exact procedure depends on the material. In most cases, it's best to wash the door first and let it dry. If there are rust problems or the color peels off, scrub them off. Apply coatings for resistance before the actual color. Does my garage door require waxing? The application of wax on the exterior part of the door is needed for protection. It is usually applied when the panels have to be protected from harsh outdoor environments such as ones in coastal areas. Wax is applied on clean doors which are not going to be painted. It has to be reapplied two times a year. What is the torsion spring shaft? 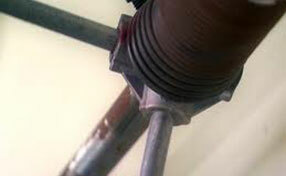 The shaft of torsion spring garage door systems is the metal rod running through the spring. It's actually a steel bar, which connects with the cable drums at the two corners and is secured with bearing plates so it keeps the torsion spring in place. It turns when the spring turns and transfers this movement to the drums, which pull the cable, and the door moves.